The major use of this satellite based signal transferring system can be seen in the sectors of military and various intelligence bureaus of many countries. But now, the use of GPS technology is no longer limited to the sector of intelligence or administrative services only. General public is also aware of the advantages of GPS and this is why they are willing to make use of it in every possible way they can. 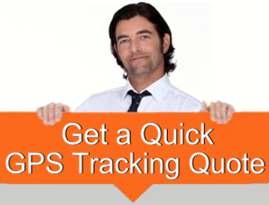 In New Zealand, a name that you can trust in terms of GPS Tracking Device is Superior Tracking Services. With years of experience and expertise this company has come to this position where it can provide a wide variety of GPS tracking and vehicle tracking services to its clients. Whether you are looking for Navman NZ, or vehicle tracking NZ, Superior Tracking Devices is always there by your side. Now the mobile phones, various portable devices and vehicles are using GPS technology to navigate unknown places in an easier way without having to ask for any help from anyone else, which is very helpful in foreign language countries. Not only a place, but minute details like location of a certain restaurant or school or street address can be found through the help of GPS. There are two types of the tracking. The active and the passive, are the two types of the system. The passive devices store the location of the GPS, the speed and the heading. This software even sometimes triggers some events like the on or off of the ignition system or the opening and the closing of the door. With a GPS Tracker, your life on the roads is sure to be safer and easier. The passive systems also have the specialised objective of wireless download. The active systems use the similar type of the data but it utilises the assistance of cellular or satellite transfusion. The device is a box which is installed into the vehicle and wired into the main system of the car. Thus the car is then connected to the GPS main system software and is tracked with ease. Even vehicle tracking is very much easier with this system. Apart from vehicle tracking GPS helps a car to find alternate or parallel routes, saves the driver from creating any speed violations and sends signals about the presence and amount of fuel within the vehicle. Whilst the features and functionality may seem hard as well as perplexed, it has a very important process in each and every regard. GPS is reltively quick and easy to install and activate. The operating system of GPS is user friendly. This wireless process is also affordable in price. Security and confidence are the key features that GPS delivers to its user from the very first moment they get it installed in the preferred mode of the user. As the GPS technology is enabled with an audio system, it can be helpful for those also who have vision problem in the course of locating a certain place or region.